Here are a few final details for the conference beginning this Thursday. First, many of the papers are available online at http://www.nasph.org/p/nasph-2011.html. It is always our hope that the papers will be read ahead of time as that helps facilitate and elevate the conversation. 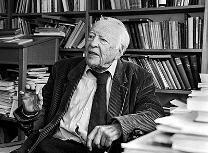 Second, the text session on Thursday during lunch will be a discussion of the final ten pages or so of Gadamer's 1988 essay "Plato as Portraitist." Third, it is customary for all program participants and attendees of the NASPH meeting to register and pay the registration fee (students: $10/professionals $25/free for BC faculty and students) in order to offset BC's expenses for the refreshments and receptions. Online registration is available at http://www.bc.edu/schools/cas/philosophy/events/NASPH.html or you may register at the meeting. Finally, if anyone will be driving, plans to park on campus, and wishes to take advantage of the discounted parking rates for the NASPH meeting ($10/day), it is necessary to prepay for parking at least two days prior to the meeting, that is, by Tuesday, 9/13, to allow the Parking Office time to make special arrangements. This can also be taken care of online when registering.